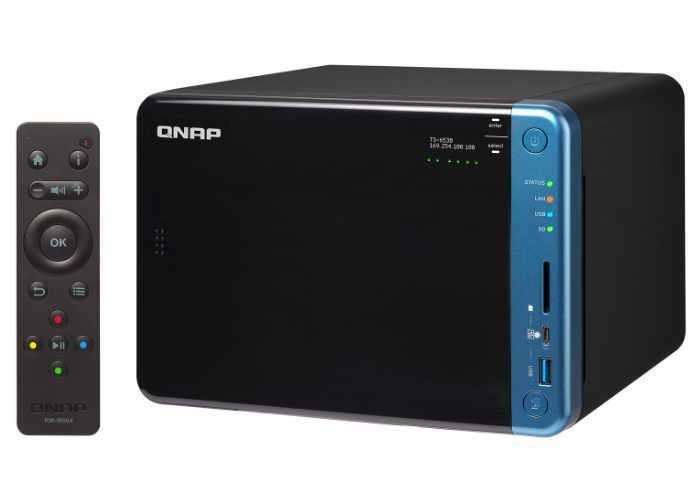 NAS storage maker QNAP has this week unveiled new additions to its range of 2-bay, 4-bay and 6-bay solutions with the launch of the QNAP TS-x53B Series NAS which are available in three different versions all powered by the Intel Celeron J3455 quad-core 1.5GHz processor. The latest TS-x53B storage solutions are the first NAS in its class says QNAP to provide PCIe expansion, which provides long-term potential for the NAS to be upgraded to include features such as SSD caching and 10GbE connectivity. – 1 x 3.5mm Line Out audio jack.